Happy Halloween everyone! 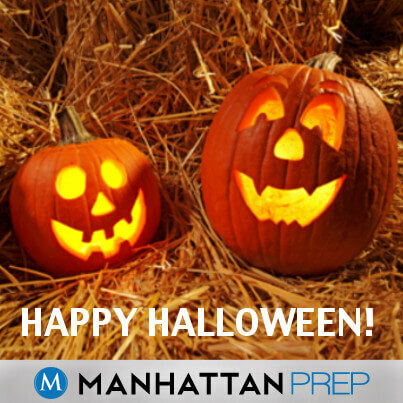 We hope you’re not too wrapped up in the LSAT prep work to dress up and celebrate. We posted these awesome legal -themed costume ideas last year and we thought they were so great that we needed to do a repost this year–we’ve even added a few new ones. The best part is that most are very easy to create, and, well, since today is Halloween you don’t have too much time to waste! Colonial Lawyer: Take the traditional route and pop on a black robe and white collar and wig. My Cousin Vinny: Plenty of options for this one. You could go with the all black ensemble (black pants, leather jacket, and silver belt and chain) or you could spice it up with a brown/orange suit, complete with a matching bowtie, white button-down, and heavy New York accent. A Lawsuit: Wear a suit and attach legal documents all over it (Amendments of the Constitution, the UCC, Restatement of Torts) . The Second Amendment: Wear a sleeveless shirt. The Socratic Method: Get a white sheet from the linen closet and style a Greek toga. Sling a colored sash around your shoulder with the word “method” written across it. “A Salt” with a Deadly Weapon– Dress in all white with a grey hat. Poke a few holes in the top of the hat to mimic a salt shaker. Carry around a toy gun/sword/knife or water gun of some sort. You can even get a pal to be a bloody pepper shaker. Judge: A white, curly wig, pair of glasses, white turtleneck, and a black robe should do the trick. Add some pizzazz by adopting a New York accent and calling yourself Judy. Elle Woods: Bring out anything and everything pink. Pink dress, skirt, shirt, heels, and hat. If you’re not a natural blonde, grab a wig, as this is a pretty essential part of the costume. Don’t forget to pick up a Chihuahua and dress him in a matching pink outfit. 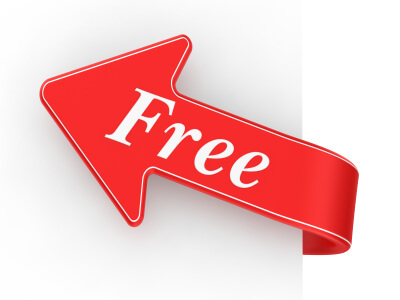 The Lazy Lawyer: For those who want something more subtle or are just too lazy to put a complete costume together, throw on the shirt pictured above from Zazzle.com. Yourself: If you don’t fancy the whole costume idea, just go as the studious LSAT student that you are. 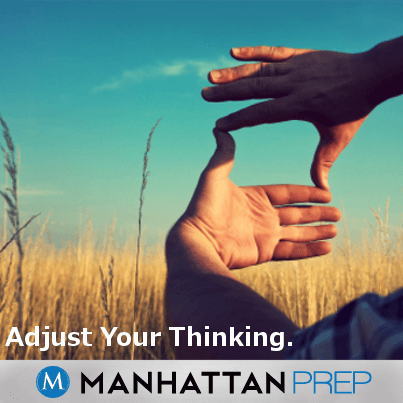 Accessorize with you’re pencils, stopwatch, and Manhattan LSAT Strategy guides. Already have your costume picked out and ready to go? We’d love to hear what you’re going as! 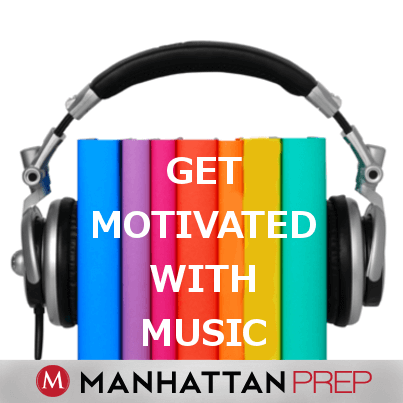 Leave a comment below or shoot us a tweet @manhattanLSAT. In this particular question, the LSAT tells us a few things: that still-life painting is best for artists whose goal is self-expression, that this is because the artist can “choose, modify, and arrange” the objects, and that therefore the artist has “more control over the composition” than she would in painting a landscape or portrait. From this we’re asked to infer what’s most likely to be true. In other words, we’re basically being asked what’s most reasonably inferred from the stimulus. That does sound a lot like Reading Comp. These are, of course, also often reasons why answer choices are incorrect to Inference questions. Certainly the comparison between Reading Comp questions and Inference questions in Logical Reasoning isn’t anything extraordinary (or even all that surprising to some of you), but it does seem worth noting for those of you for whom the Inference question strategy still hasn’t entirely clicked. Try treating them like an Identification or Inference question on Reading Comp. They’re essentially the same thing. It seems everyone is ranking law schools these days. 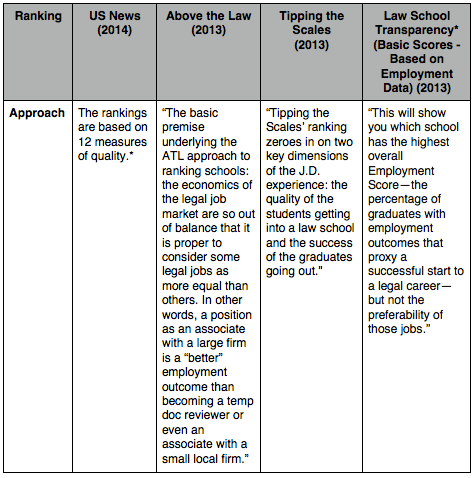 This year was the first that three institutions put their hats in the ring: Above the Law, Tipping the Scales, and to an extent although it prefers not to use the term “rankings” but Score Reports, Law School Transparency. Below is a look at the differences between them. A few things interested me about these comparisons. 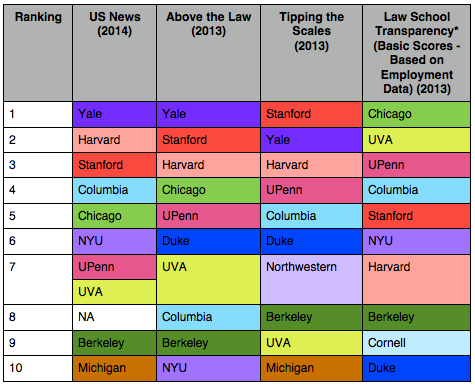 First, why does Tipping the Scales rank Stanford over Yale? 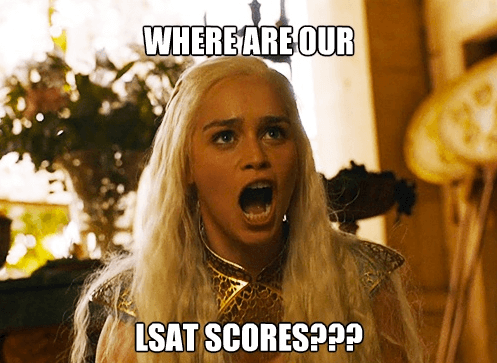 How Does Your LSAT Score Affect Your Law School? Studying for the LSAT can be a trying time for most students. The questions test your ability to reason and synthesize, making them substantially different than most college exams we’re all used to. To top it off, test takers are told that you have to do well to get into the school of your choice. That is way too simplistic to be useful, so here’s the scoop on how the LSAT actually affects your choices. First, know this is not the SATs. You are not being tested on whether you have the background knowledge necessary to take the basic courses of the school. Nor are you being tested on what level of classes you can take. The LSAT is designed to be a predictor of how well you are likely to do in your first year of law school. If you’re scoring particularly low, it indicates that you’re likely not analyzing arguments the way you need to as a lawyer. See how annoying that is? As it was happening, I thought of logic games (because I’ve been doing this way too long). It seemed like a great illustration of a very important logic games principle. When it comes to diagramming, do not write what could be true and what must be true all in the same place. That is, don’t mix up what has to be true with what might be true. In the same way that it is confusing to receive driving directions that mix what could happen in with what has to happen—“we could turn here but have to turn before four streets up but we could also turn on the next street”—it’s confusing when you look at a diagram where slots 2 and 3 are filled with the letters M and R, but M has to go in slot 2 and R could go in slot 3. If you’re used to writing it all in one place, it may take some time to break the habit. But start now. It’s worth the struggle. 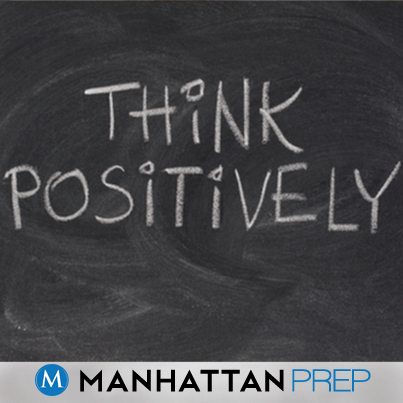 Hey October LSAT takers! Here are a few tips for the rest of the week. DO get a good night’s sleep this week! Start going to bed earlier and waking up earlier if you don’t already so that your body is not shocked by the time on Saturday morning. Better yet, wake up the next couple of mornings and do an LSAT problem or two. DON’T work too hard on Friday. If the idea of taking the day off to watch the new Arrested Development on Netflix panics you, read over your notes or do a game or two, maybe a few hard logical reasoning questions you’ve done before. But it’s not the day to take a full-length test. DO continue to do timed, mixed practice through Thursday. DON’T make the mistake of believing that every practice test score from now until Saturday is exactly what you’re going to score. 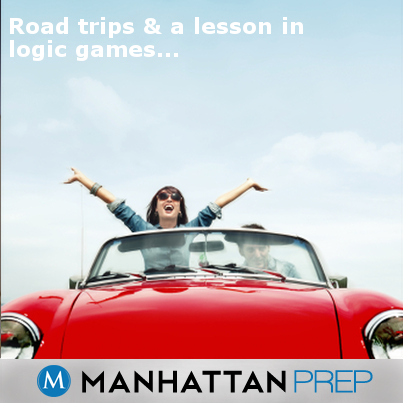 While they are certainly in the range of what you should expect, just because your practice test drops from a 169 to a 167 tomorrow doesn’t mean you’re suddenly 2 points LSAT-dumber. Learn from your mistakes, review carefully, and move forward. DO think positively. Someone is going to teach this test who’s boss, and it’s not Tony Danza. It’s you. YOU. If you don’t believe you’re going to do your best, you’re less likely to. If you do, you’re more likely to. And if you can see that those two statements are not contrapositives, give yourself a high-five right now, please. DON’T mistake the LSAT for a mythical tool that measures your self-worth. It’s just a test. Plus, you have more friends than it, and they’re cooler. Now go put those red and blue and yellow balls in order like you’ve never put them in order before!